Since appearing twice on X Factor once at the age of 14 and again with partner Becky, Aaron is now concentrating on his solo career. Aaron is the perfect choice for discerning clients who are looking for that something special for their event. 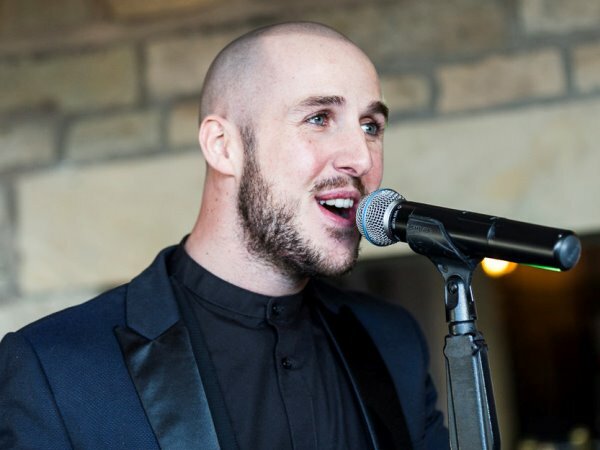 Aaron is ideal for celebrations, private parties, weddings, hotels, restaurants and all venues who are looking for class and style. Sets can be an ambient show to full on uptempo show! Aaron can include a disco at an extra cost. I have to say a big thank you on behalf of all members of our Golf Club for providing Aaron Welby for our New Year’s Eve celebrations. It was the best New Year’s Eve party we have had for many years. Another solo singer followed by the name of Aaron Welby. Mr. Welby reveals a remarkably well pitched singing voice which is as easy on the ear as it is distinctive.